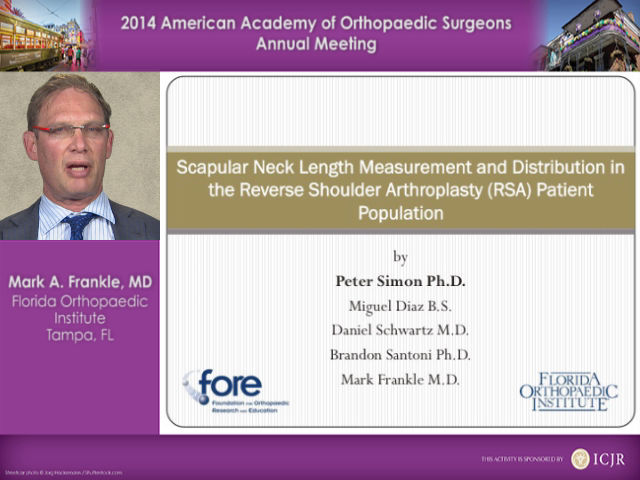 What Is The Effect Of Postoperative Scapula Fractures Of Outcomes Following Reverse Shoulder Arthroplasty? 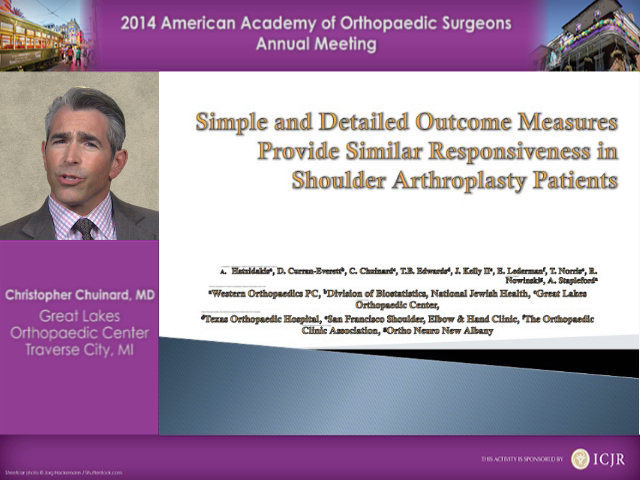 Quantification Of The Existing Glenohumeral Relationships In Patients Undergoing Reverse Shoulder Arthroplasty? 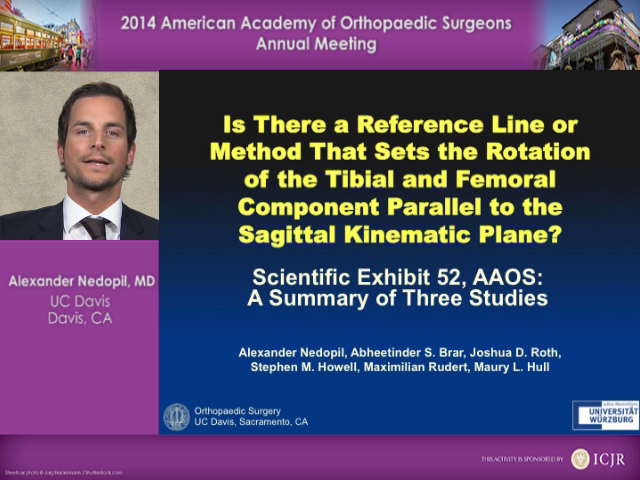 Is There a Reference Line or Method That Sets the Rotation of the Tibial and Femoral Component Parallel to the Sagittal Kinematic Plane? 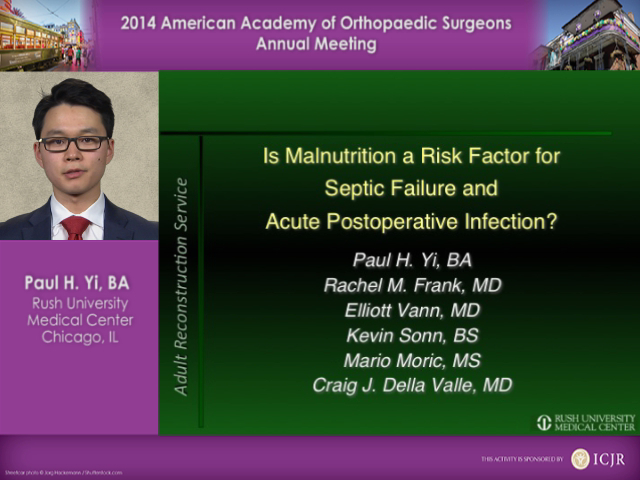 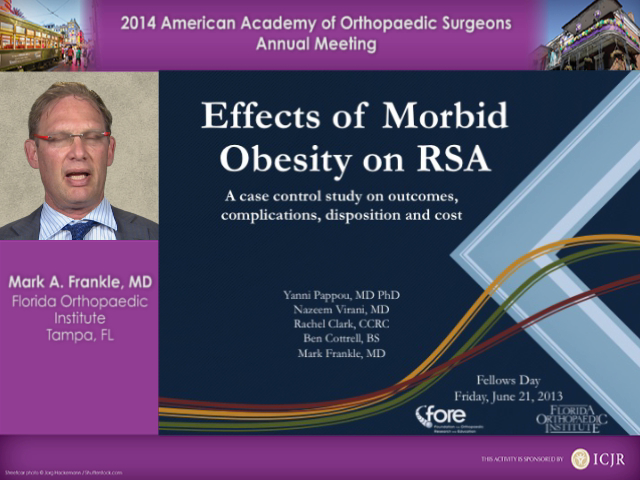 Is Malnutrition a Risk Factor for Septic Failure and Acute Postoperative Infection? 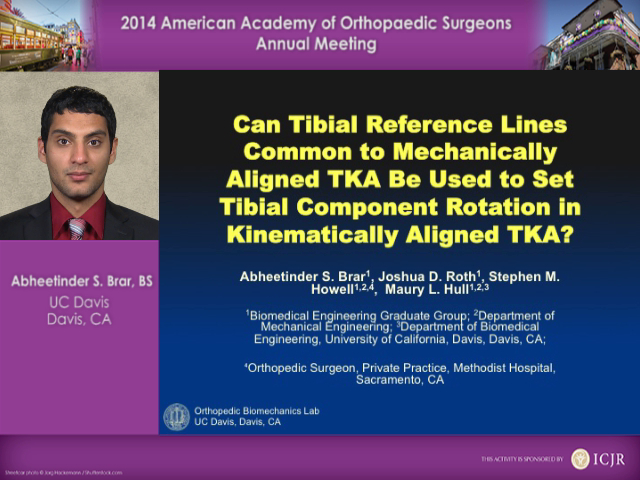 Can Tibial Reference Lines Common to Mechanically Aligned TKA Be Used to Set Tibial Component Rotation in Kinematically Aligned TKA? 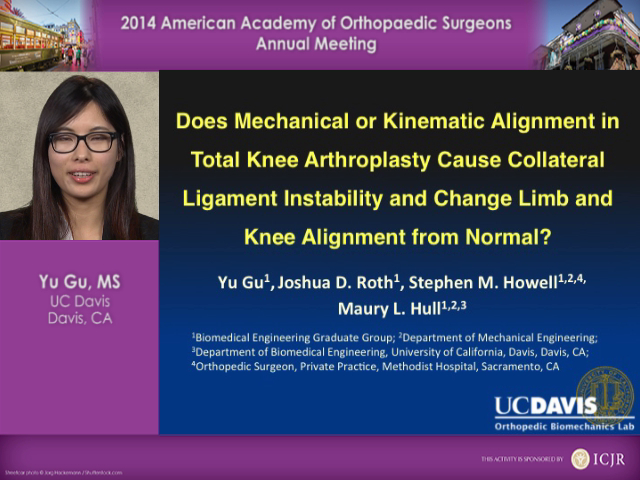 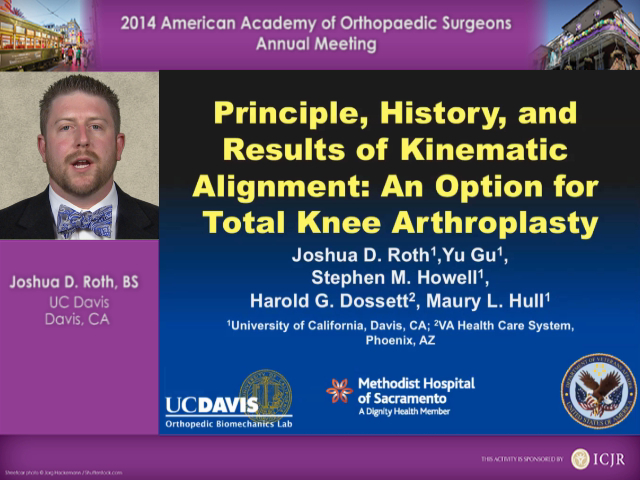 Does Mechanical or Kinematic Alignment in Total Knee Arthroplasty Cause Collateral Ligament Instability and Change Limb and Knee Alignment from Normal? 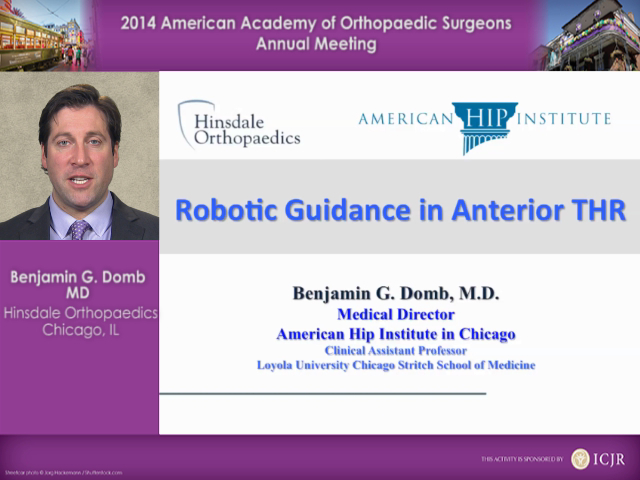 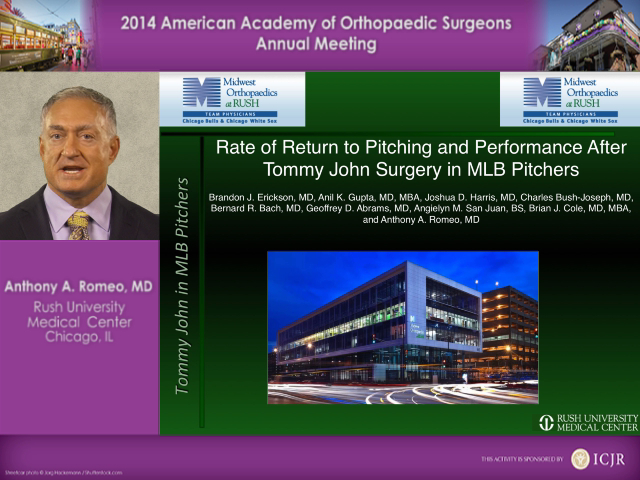 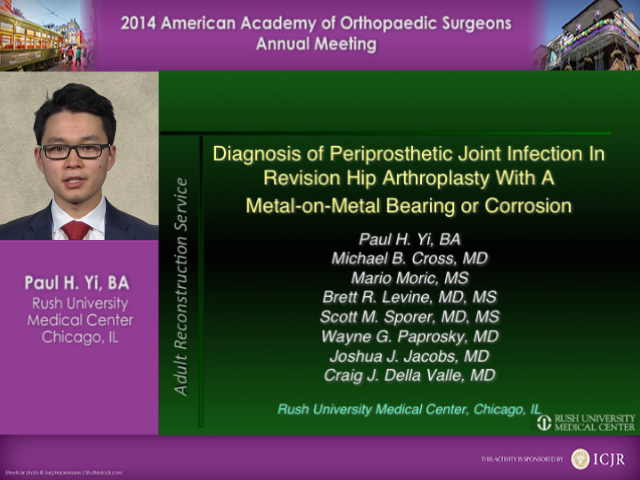 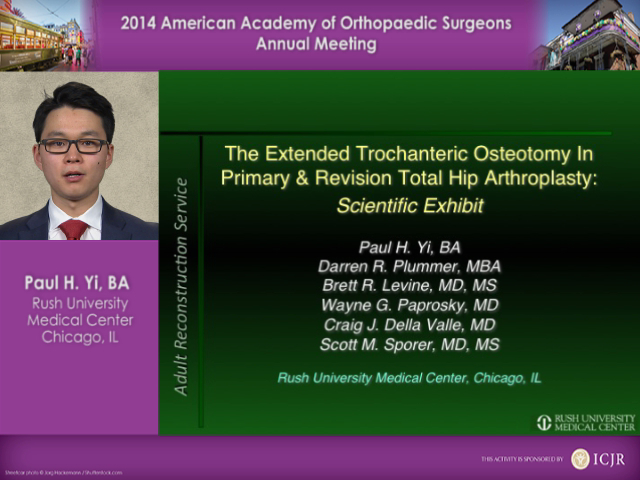 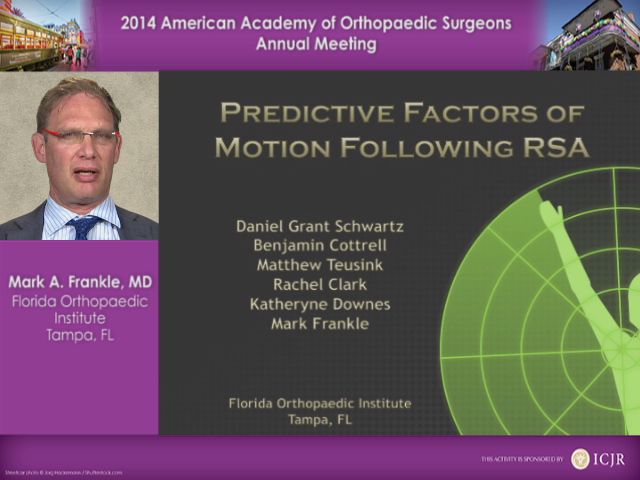 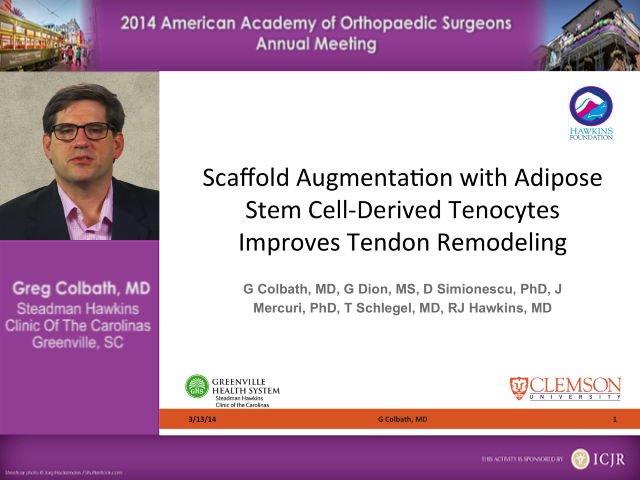 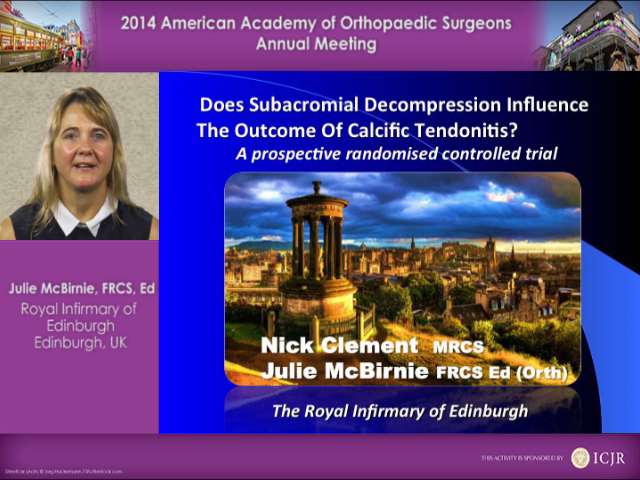 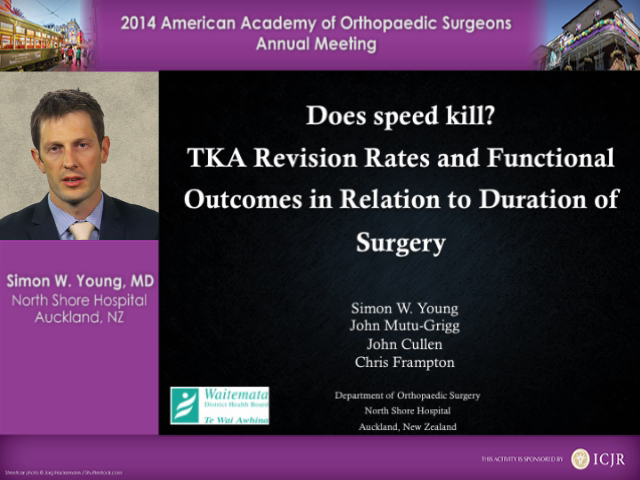 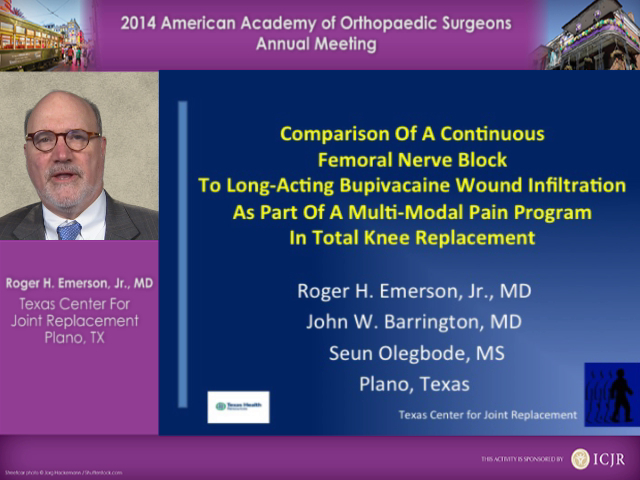 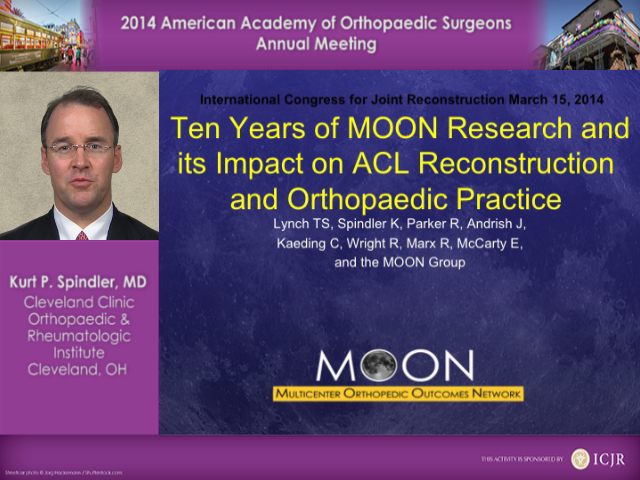 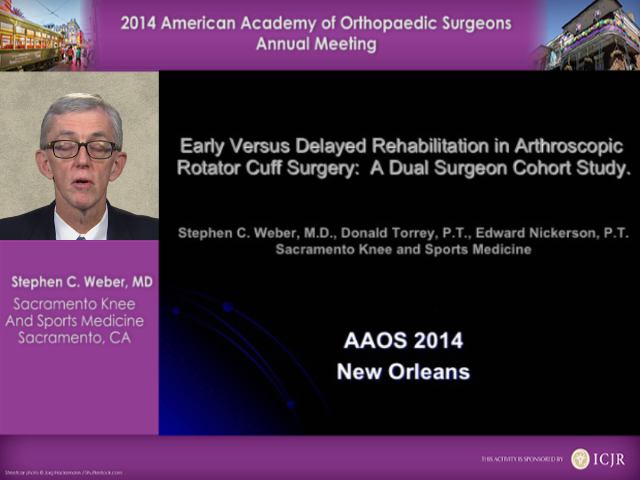 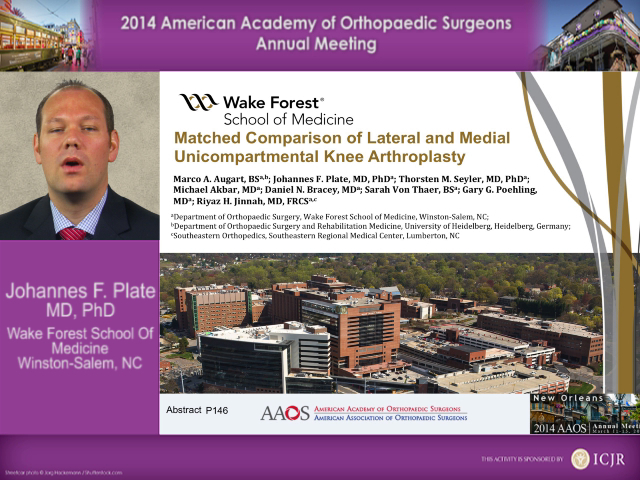 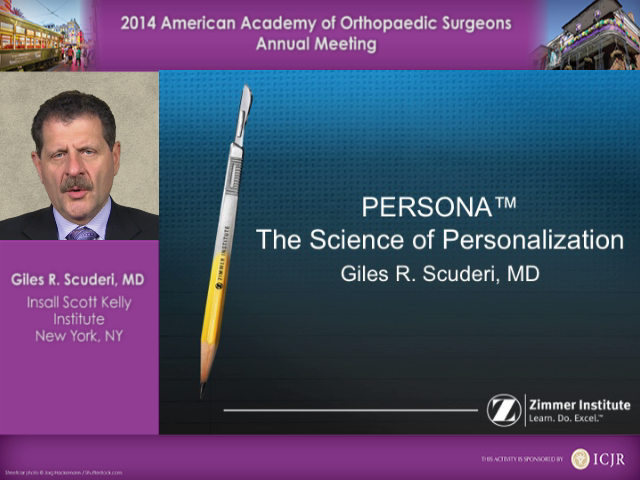 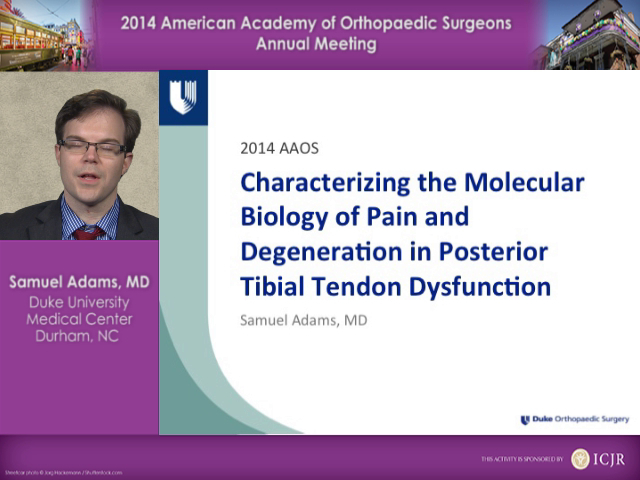 Hip Arthroscopy: Who is a Candidate for Joint Preservation?